I think it’s safe to say that China isn’t exactly the first country you’d think of when I mention “beautiful places on Earth”. After all, this great nation in East Asia is more famous for their crowded super-cities, bustling economy and fast-paced lifestyle. That’s no surprise since the usual tourist hotspots in China are Beijing, Guangzhou, Shanghai, and maybe Hong Kong and Macau. However, if you have the chance to step away from the bust streets and flashy neon lights, you’ll come to realise that there’s more to China than meets the eye. Here are 10 of the most beautiful destinations you have to see in China! This gem of a national park is located in northern Hunan province and is the country’s first officially-recognised National Forest Park. 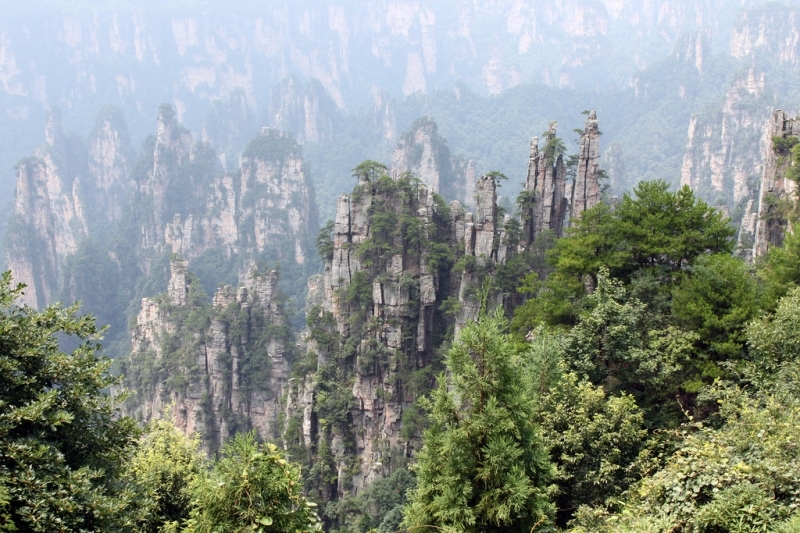 Here’s a fun fact, did you know Zhangjiajie was the inspiration behind Hallelujah Mountains in Avatar? The stunning natural scenery here is exemplified by the now iconic stone pillars and rock formations. Accessible via bus, tram and gondolas, this usually secluded area is the perfect hiking trail for nature lovers! It is also home to the Bailong Lift, which is the tallest elevator in the world. Don’t look down now! 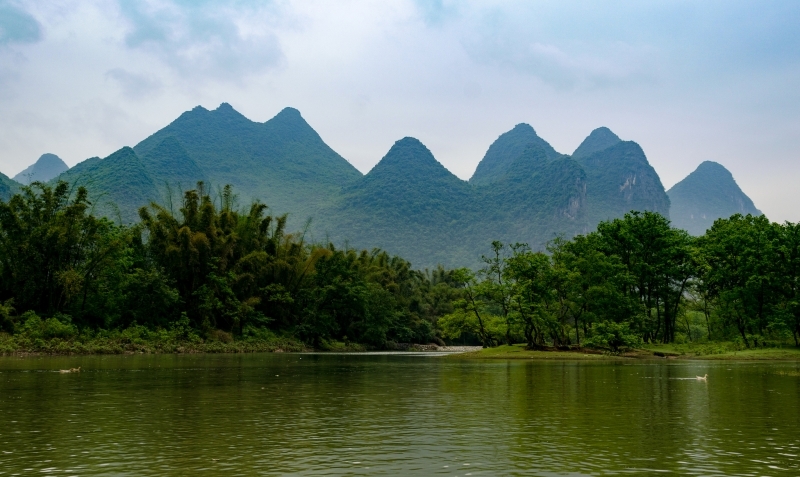 Located a short train ride away from metropolitan Shenzhen, Yangshuo is a scenic county in Guangxi Province. 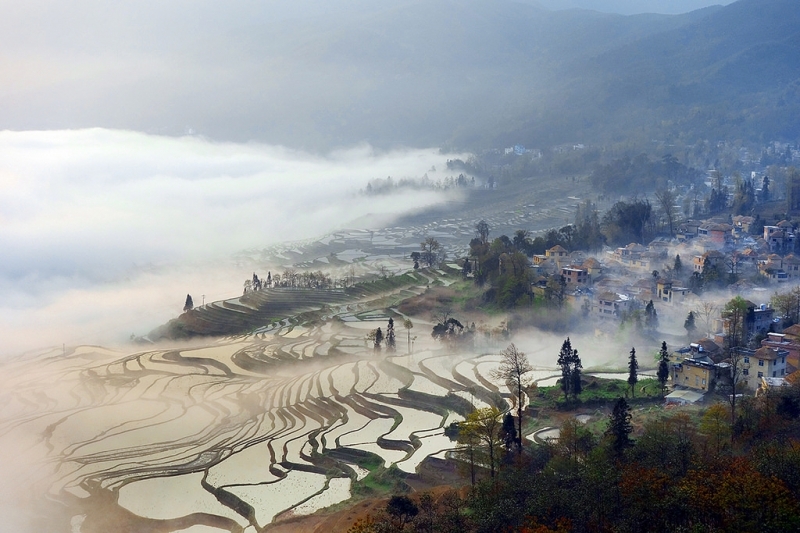 It is one of China’s most popular locations for outdoor activities thanks to its abundance of lovely sights. The Li River is the most famous location, accessible only by bamboo raft. The regulation of water transport here has helped the area retain its rustic ambiance. You’ll enjoy fantastic views and fresh air as you paddle alongside enigmatic karst mountains and indulge in some peace and quiet. 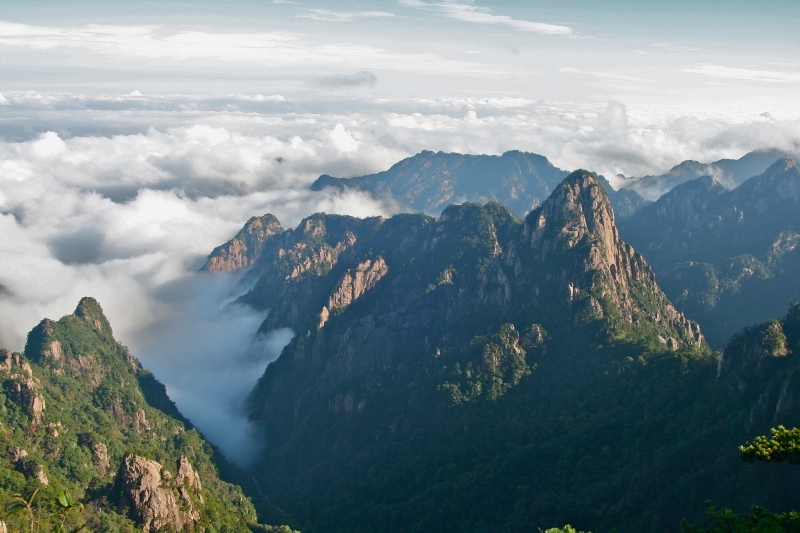 The best time to visit China’s most famous mountains is between May and September when the weather conditions in Anhui Province are perfect for hiking. If you’re looking to head to the very top of the mountain, you’ll have to prepare yourself for an overnight trekking adventure (don’t worry, there are hotels at the top). Along the way, you’ll no doubt be treated to the views of the mountain’s four natural wonders: pine trees, majestic rock formations, hot springs and fluffy clouds. In fact, legend has it that this was where the Yellow Emperor (黄帝) became immortal, so know that you stand on hallowed ground! Seriously though, the path can be a little slippery at times, so do tread with caution! In the 13th century, a famous explorer named this Chinese city the “City of Heaven”. That man was Marco Polo. While major cities in China are not typically known for pleasant scenery, Hangzhou is arguably one of the most photogenic locations in the country. Plan your visit in spring (around April) and you’ll be treated to a beautiful city with its flowers in full bloom along the streets and ancient buildings. 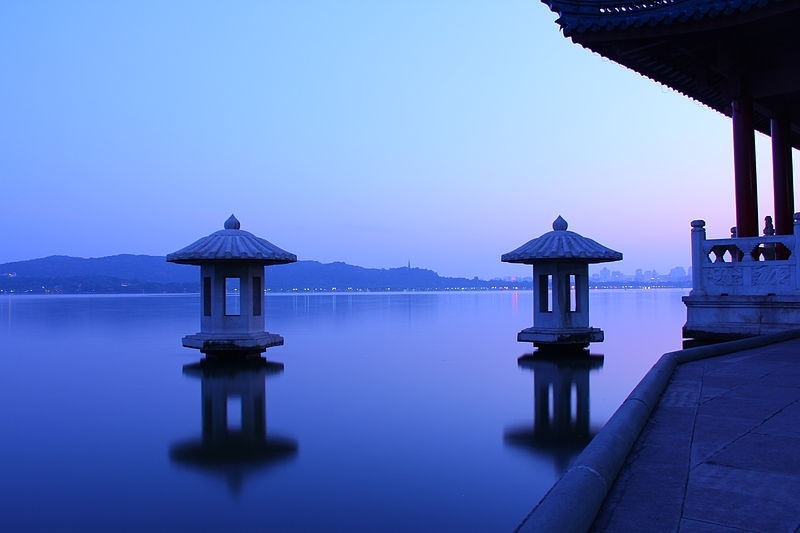 One must-see spot in Hangzhou is its famous West Lake, known for picturesque scenery throughout the year. 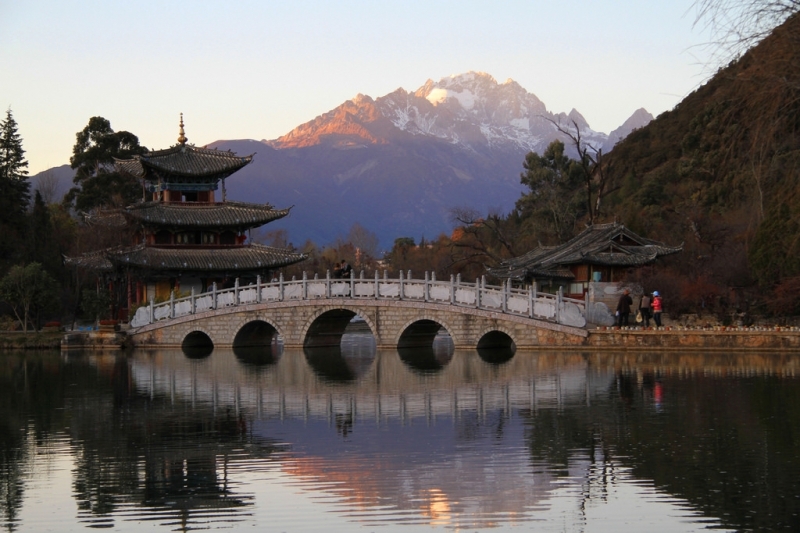 Yet another alluring town in China is the quaint but breathtakingly stunning Lijiang City. Located in Yunnan Province (which is itself known for beautiful natural scenery), Lijiang is beset on all sides by snowy mountains, verdant greenery and pristine lakes. The Tiger Leaping Gorge is the ultimate destination here, especially if you’re looking for a memorable trekking experience through amazing scenery. If you don’t have the two or three days to complete the journey, then visit the Jade Dragon Snow Mountain instead. Here, you can admire the glacial peaks of the mountain and enjoy a stunning view of the surrounding greenery. Before heading to the Zhangye National Park in Gansu Province, make sure to charge all the batteries for your cameras. Trust me, you’ll need them! 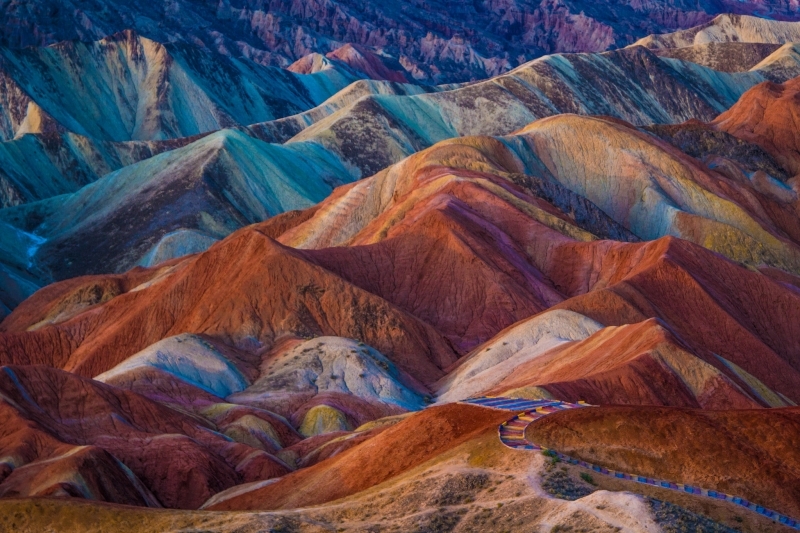 While you won’t find many trees here, the area is adorned by many colourful rock formations and landforms, of which, the Danxia Landform is the most famous. Composed of curvy, layered, multi-hued formations, the landform looks like an oil painting at times, refracting light in many different colours. It’s no surprise that it’s called “Rainbow Mountain” by the locals here. And since not many people visit this place (or know about it! ), this is every aspiring photographer’s dream playground! 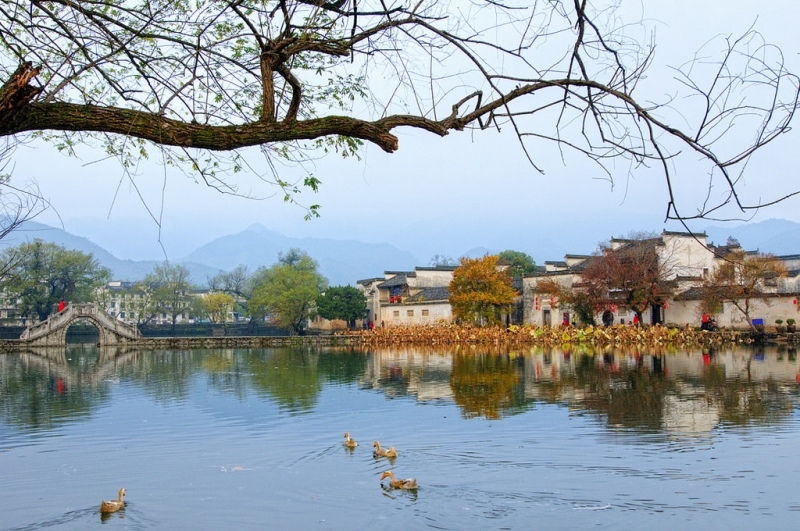 Step back in time when you visit Hongcun in Anhui Province. This scenic little village is punctuated by narrow lanes, old-fashioned clan halls, graceful bridges, and serene lakeside views. The village is also a UNESCO World Cultural Heritage Site, being home to over 140 ancient homes. The village is a hotspot for painters and art students thanks to its picturesque scenery and muse-inducing ambiance. And if the village looks vaguely familiar to you, it’s because this was where Crouching Tiger, Hidden Dragon was filmed. Yes, let your inner fanboy/girl run wild! I know Malaysia is known as a prominent producer of rice, but our paddy fields aren’t nearly as beautiful as the Yuanyang Rice Terraces! Covering more than 12,500 hectares, it’s one of the top reasons travellers (and especially photographers) visit in the first place! The terraces are dug into the rolling landscape of the Ailao Mountains and while it’s beautiful no matter how you look at it, the best way to see it is by climbing to the top and looking down. What you will see is a stunning picture of overlapping layers of green that will instantly make you go “wow!”. Lying a few kilometres away from Kunming City in Yunnan Province (told you Yunnan was pretty!) is the Dongchuan Red Land. True to its name, this 77,000-square mile area is bathed in a striking hue of red, caused by the subtropical climate here which is ideal for the oxidation of iron in the soil. 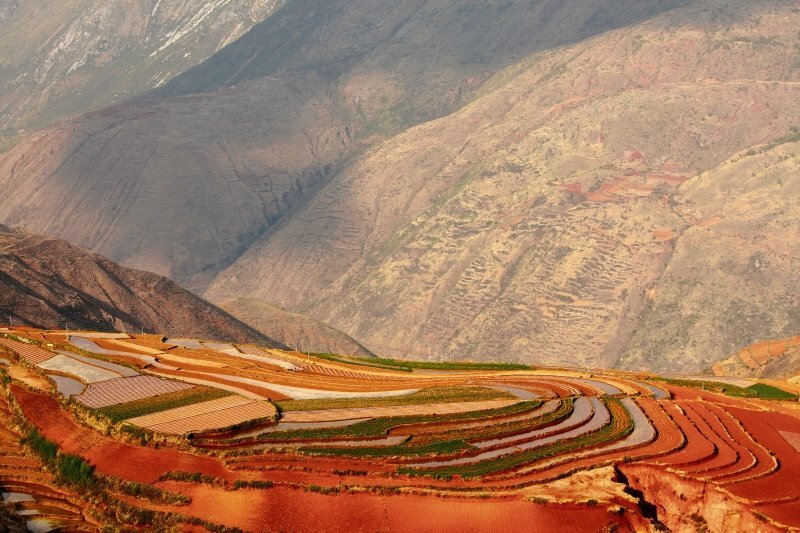 As the red of the land contrasts with the other colours around it (depending on the various seasons), Dongchuan becomes a true “palette” of colours. The best times to visit are from May to June or September to November, when the various colours of different crops provide the perfect accompaniment to the red in the soil. 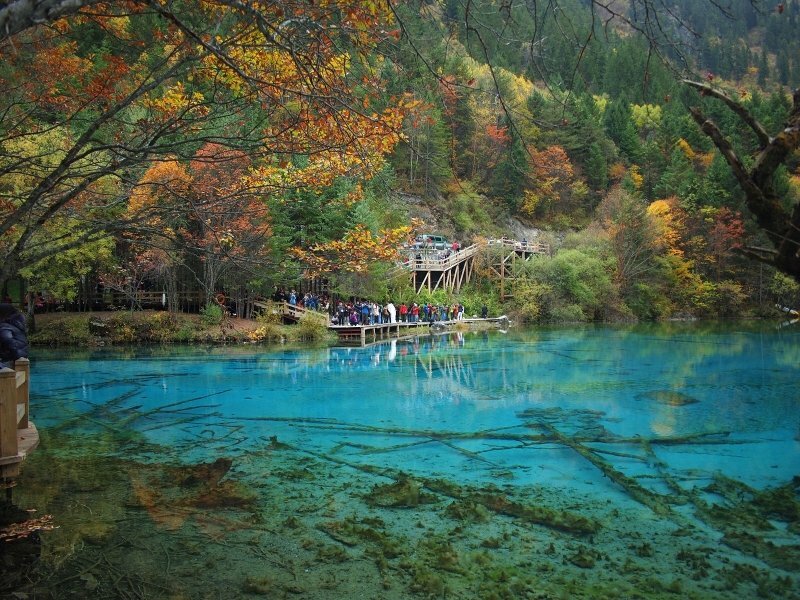 If you’re visiting China during the autumn months, then you definitely MUST visit Jiuzhaigou in Sichuan Province. This enormous, multi-coloured lake changes colour throughout the day and year. This colourful phenomenon is caused by a combination of algae and calcified rocks in the lake. What’s more, the reflection of the surrounding scenery simply adds to the mystical feel of the area. While it’s beautiful all year round, there’s just no competing with the autumn scenery here. The fiery red autumn foliage and the emerald waters of the lake? Oof, that’s what you call a (scenic) match made in Heaven! And there you have it, 10 incredibly beautiful locations in China you have to see at least once in your lifetime. Which one do you like most out of all these? Regardless of which ones you choose (why not all? ), it’s time to start planning now! 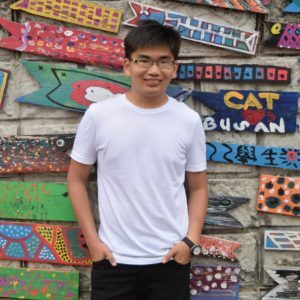 Darren enjoys travelling, photography and good food. He loves cultural experiences and exciting adventures and is no stranger to travelling alone. When he's not putting his travel experiences into words, he's probably sitting behind his laptop, planning his upcoming adventure.